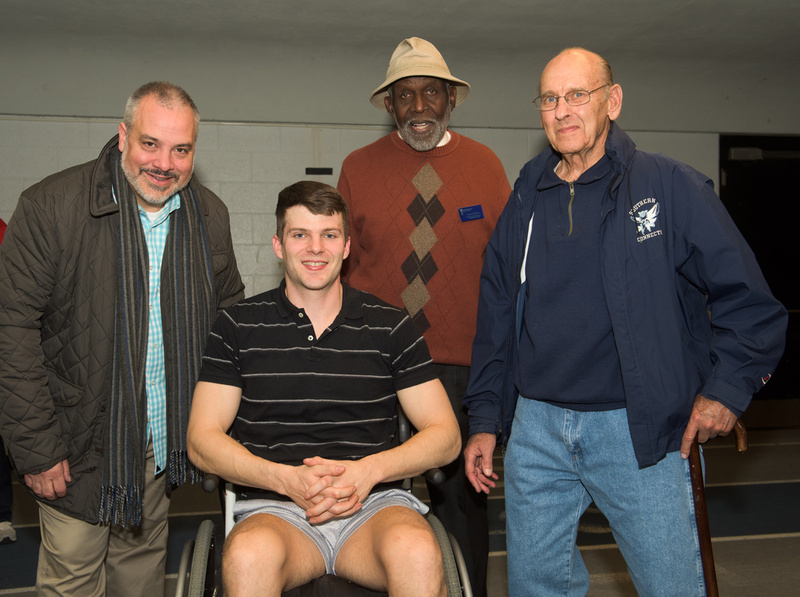 Former Southern track and field All-American Collin Walsh, ’08, who suffers from multiple sclerosis and has been paralyzed from his mid-section to his toes, competed in the 55 meters at the James Barber/Wilton Wright SCSU Alumni Track and Field event on November 11 at Moore Field House. 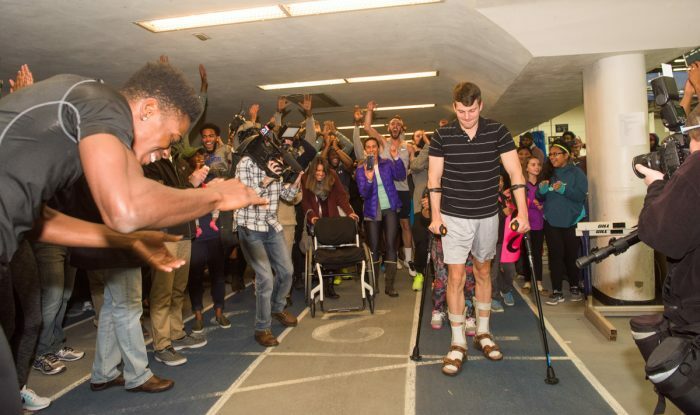 Owl Nation cheered him on every step of the way, especially when he successfully completed the 55 meters at the event. Walsh was an All-American during his undergraduate career at Southern and competed with the cross country and indoor and outdoor track and field squads. He was an All-New England performer and conference champion, and was also recognized with numerous academic honors. Walsh also completed an internship at the White House during his senior year. After graduation, he went on to serve as a Milford police officer and pursued additional graduate coursework at UConn, Indiana University and abroad in India. In April 2016, he headed to Washington, D.C., to work for Diplomatic Security Service as a special agent specializing in counter-terrorism. However, after just days there, he became stricken, and during his hospitalization was diagnosed with multiple sclerosis. Walsh became paralyzed and unable to walk. Since then, he has undergone extensive medical treatment, even going to India for treatment.